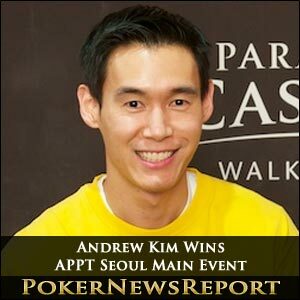 American Andrew Kim has picked up KRW 145,000,000 for winning the PokerStars.net Asian Pacific Poker Tour (APPT) Seoul No-Limit Hold’em main event at the Paradise Walker-Hill Casino. 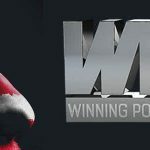 The KRW 3,000,000 buy-in tournament attracted 268 entrants to create a prize pool of KRW 717,489,600 – or about $639,571 – with Kim leaving with $129,253 after beating fellow American Vincent Rubianes in their heads-up clash. Rubianes left with KRW 90,500,000 ($80,672) after a four-way deal was struck between him, Kim, third placed Spaniard Rafael Rodrigo (KRW 94,500,000 or $84,237) and Germany’s Moritz Ortmann, who took home KRW 106,000,000 or $94,488 in fourth place. With Rodrigo out in third, Kim was just ahead on 3,005,000 chips to the 2,120,000 of Rubianes as the heads-up battle commenced. Kim was pretty well in control for the majority of their heads-up clash, slowly cutting down Rubianes’ stack until the final hand arrived when the Spaniard was all-in pre-flop while holding 10♦ 10♣. Kim showed A♠ K♦ and it was all over when an ace arrived on the flop, ensuring that the champion picked up an extra KRW 35,000,000 for his success. Day 3 started with 16 survivors, but it only took a couple of hours for the nine-handed final table to be reached. Hong Kong’s Kenneth Wong was the first player to hit the rail in ninth place for KRW 15,889,600 ($14,164). 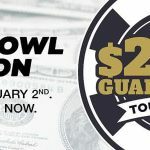 This year’s Aussie Millions runner-up – who earned $1,029,474 after losing out to home favourite Oliver Speidel in the AUD$10,000 No-Limit Hold’em main event in Melbourne at the end of January – lost out to Rubianes in level 21 when the blinds were set at 8,000/16,000 with a 2,000 ante. Wong had moved all-in pre-flop while holding 9♠ 9♦ to be faced by the A♥ Q♥ of the American. The flop came J♦ 7♠ 4♥ to change nothing, while the Q♣ on the turn and Q♦ on the river gave Rubianes trips and that was that for Wong. Next to go was Japan’s Daisuke Endo, who had started the final day as chip leader, in eighth place for KRW 21,400,000 ($19,076) when being beaten in a hand by Ortmann. All the money was in the middle on a flop of 10♣ 5♣ 4♦ with the German showing A♣ J♣ and Endo revealing J♠ 3♣. The Ad turn gave Ortmann top pair, while the 7♣ river completed his club flush to eliminate Endo. Canada’s Mike Taewook Kwon was next to go in seventh place for KRW 27,000,000 ($24,068) at the hands of Kim. Kim opened to 100,000, while small blind Kwon shoved all-in for his last 190,000 chips while holding A♥ J♥ – only for Kim to snap-call to reveal A♦ Q♣. Kwon was already standing to put on his coat when the flop cam 7♦ 3♣ 6♦. The 5♣ turn also changed nothing, while the 9♠ confirmed his exit. Panama’s Jose Severino hit the rail in sixth place for KRW 34,000,000 ($30,308) when coming up against Ortmann during level 23 when the blinds were at 12,000/24,000 with a 4,000 ante. Severino shoved all-in with his A♣ Q♥ but ran into the A♥ K♥ of the German. The board fell 10♥ 9♣ 3♦ 7♦ 3♠ to confirm Severino’s exit. A four-way deal was then agreed upon once Croatian Sasa Zorc was knocked out in fifth place for KRW 43,000,000 ($38,330) when his K♥ Q♥ could not improve sufficiently to beat Ortmann’s aces. Thereafter, Kim (KRW 110,000,000), Rubianes (KRW 90,500,000), Ortmann (KRW 106,000,000) and Rodrigo (KRW 94,500,000) struck the deal – which was based on the chip counts at the time – that would leave KRW 35,000,000 for the winner. Ortmann fell in fourth place when his 2♦ 2♥ came up against the K♥ Q♥ of Rubianes. 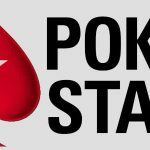 The 5♥ 3♣ Q♦ K♠ 7♥ board gave the American two pair and the German PokerStars qualifier was out. Rodrigo just missed out on a heads-up clash when he moved all-in with K♥ 5♣, to be faced by Kim’s A♠ K♣. The Spaniard needed a five to stay alive, but the 8♠ 3♣ 9♠ 8♦ 6♥ was no good to him to leave us with Rubianes and Kim in a head-to-head encounter that the former eventually won. 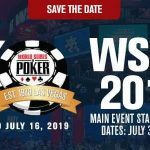 The next stop on the APPT arrives in Cebu City in the Philippines on April 25 for six days until the 30th, when a PHP 100,000 buy-in main event will be held at the Waterfront Airport Hotel and Casino.